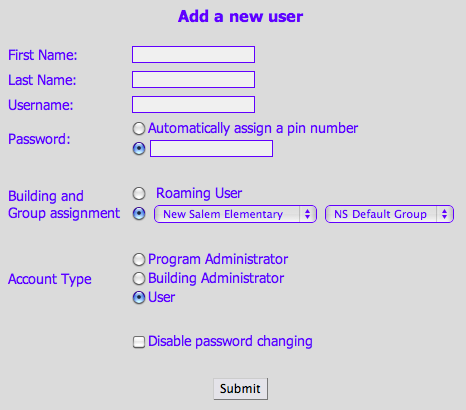 Program administrators have control over user accounts, groups, and buildings. Adding a new user is as easy as filling out the form. Here you have the option to choose where the user is located, what type of account they have, and whether they are allowed to change their password or not.